It's that time of year when Nebraska's draft streak comes up. The Huskers, starting with the 1963 draft, have had multiple players selected each draft. Nebraska is also one of five schools since 1967 (the start of the common draft era) to have a player taken each year alongside Florida, Michigan, Michigan State and USC. Depending upon which mock draft you look at, both streaks might be in jeopardy. 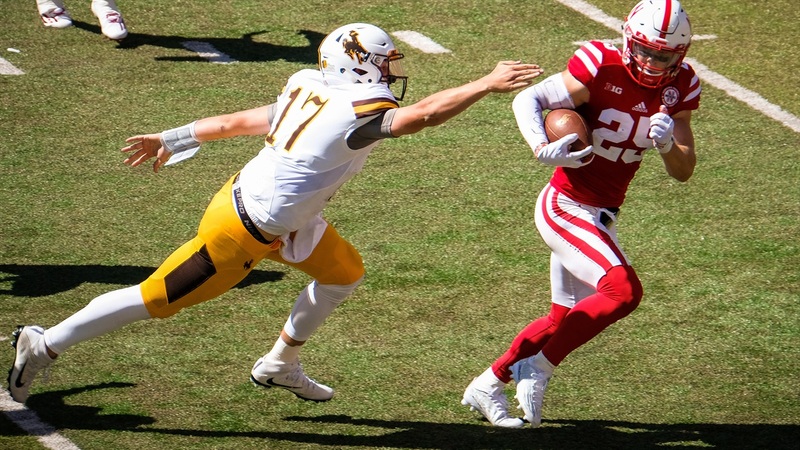 There are no surefire selections among the Huskers' draft-eligible prospects. Nathan Gerry might be Nebraska's best bet, but things aren't trending up at the moment. This recent six-round mock draft from NFL.com included no Huskers. Now, one ranking is far from the be-all, end-all, but if I told you Nebraska had one top-200 player and then asked you to guess the number on each of the Huskers' 2017 opponents, you probably would've gotten pretty close to the actual tally with maybe two exceptions. I would have assumed Oregon had at least one player in the rankings and I never would've guessed that Wyoming had four. Good job, Craig Bohl. I'm guessing those guys weren't top-200 prospects coming out of high school. Price tag? According to this story from Bruce Feldman of FOXSports.com -- which really must be the greatest day in the locker industry -- the new space lockers cost $10,500 each. Nebrasketball picked up a pair of new players for 2017-18 over the weekend. Does that change how you feel about this upcoming season? You can answer that question in our new poll. Quarterback coach Steve Calhoun offers his take on Patrick O'Brien's spring and where he goes from here. Nebraska baseball took two of three from Minnesota over the weekend. Mike Babcock recaps it here. 5-star defensive end Micah Parsons decommitted from Penn State over the weekend. Michigan is in Rome with a full media circus in tow and every bit of this is making me uncomfortable.